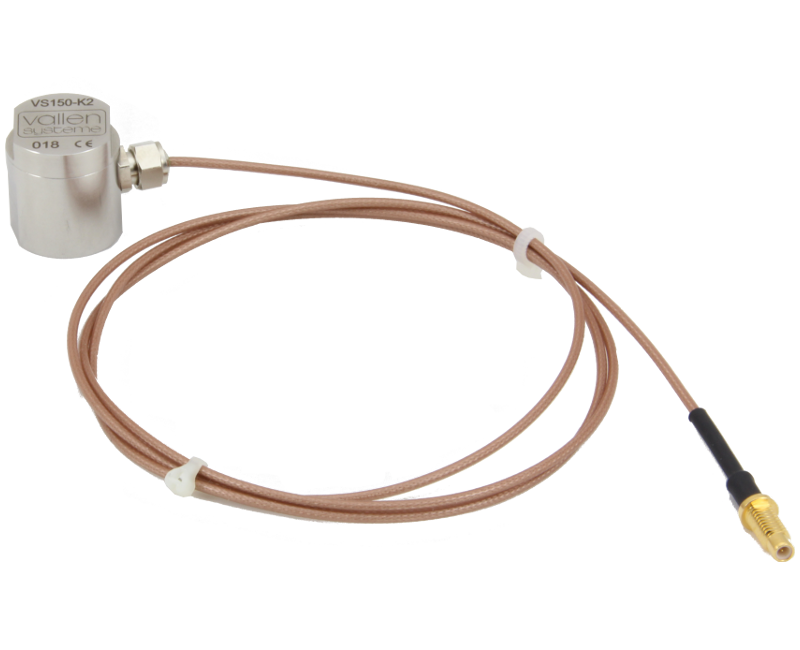 The VS150-K2 is a passive piezoelectric AE-sensor with integral cable. Its frequency response is characterized by a peak at 150 kHz where it exhibits a resonance. It is suitable for almost all AE application. The VS150-K2 has a full metal housing and a watertight cap. It is rated IP68 and watertight up to 10 bar (maximum water depth of 100 m). The mechanical design makes it especially suited for adhesively mounting it to a test object. The VS150-WIC is a piezoelectric AE-sensor with integrated preamplifier. Its frequency response is characterized by a peak at 150 kHz where it exhibits a resonance. 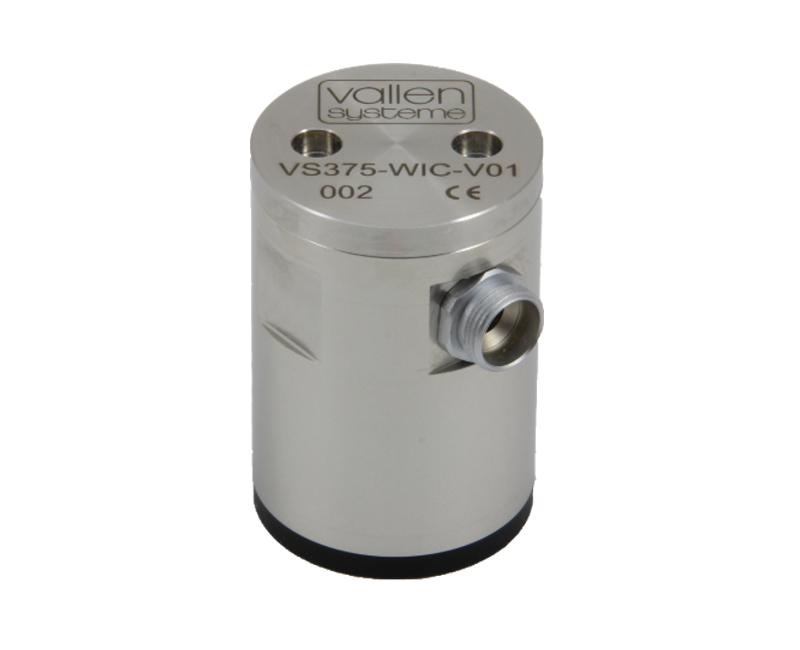 The VS150-WIC is rated watertight up to 60 bar of water pressure. It is suitable for almost all AE application and especially suited for wet environments or for on-site monitoring of underwater installations. The integrated preamplifier has 34 dB gain and supports pulse through for automatic sensor testing. The VS375-WIC is a piezoelectric AE-sensor with integrated preamplifier. Its frequency response is characterized by a peak at 375 kHz where it exhibits a resonance. 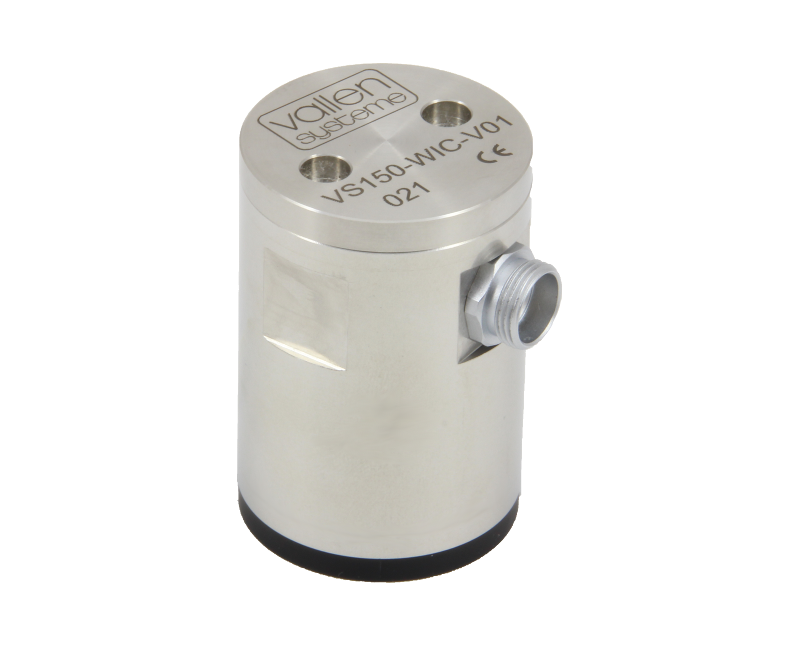 The VS375-WIC is rated watertight up to 60 bar of water pressure. Its frequency response bridges the gap between standard frequency range and high frequency range. The VS375-WIC is suited for wet environments or for on-site monitoring of underwater installations. The VS900-WIC-V01 is a piezoelectric AE-sensor with integrated preamplifier. Its response is characterized by two peaks at 190 kHz and 350 kHz with accompanying anti-resonances at 200 kHz and 400 kHz. Benefits of the VS900-WIC-V01 are a high sensitivity over a broad frequency range with compromises regarding the flatness of response. It combines a good response in the standard frequency – and high frequency range. 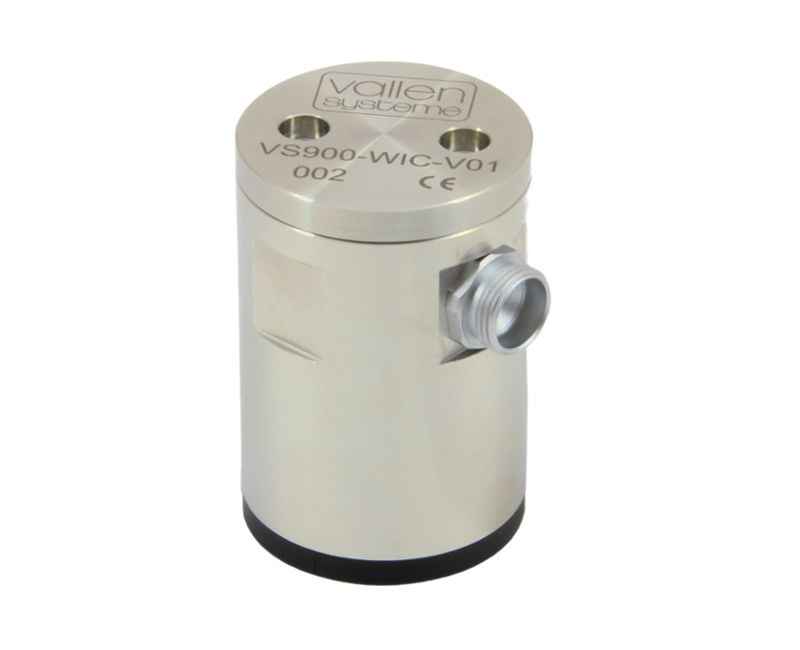 The VS900-WIC is rated water tight up to 60 bar of water pressure and is suited for wet environments or for on-site monitoring of underwater installations. The integrated preamplifier has 34 dB gain and supports pulse through for automatic sensor testing.